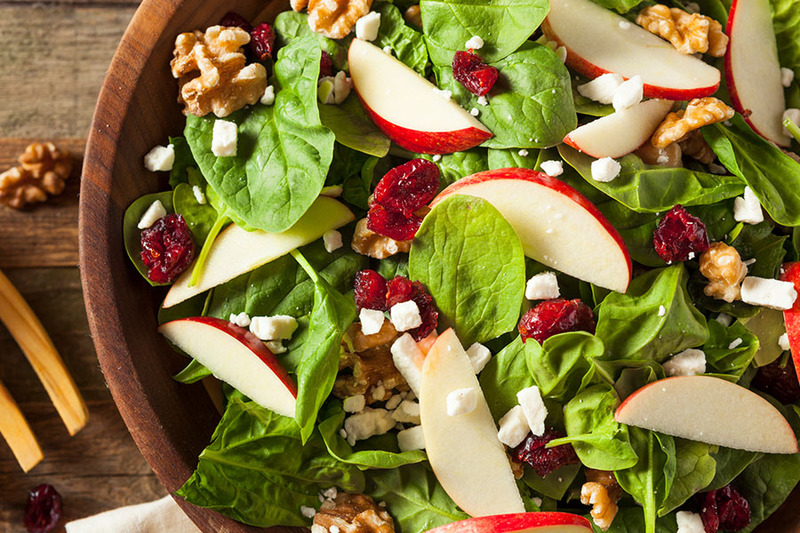 Begin with greens; add apple, pear, and dried fruit. Top with nuts and cheese. Add salt & pepper, drizzle with vinegar and add oil last.